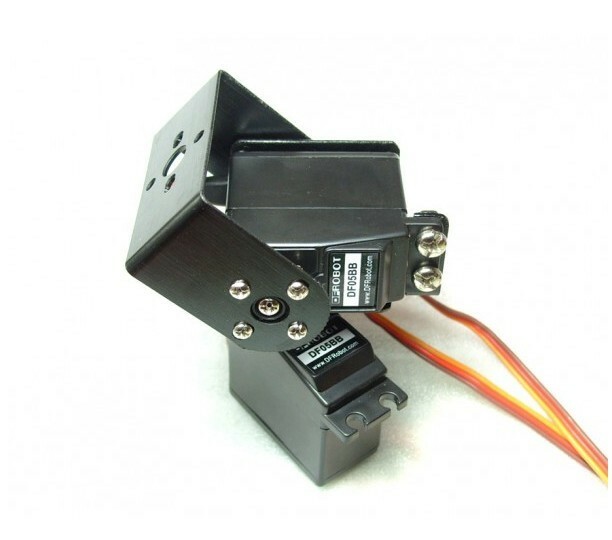 This DF05BB Pan and Tilt assembly for horizontal surface mount. Made using two DFRobot servo brackets. Perfect for your small remote piloted robot! Includes hardware and two DF05 ball bearing servos.